CityScape Adventures brings you this Interactive, Innovative and Entertaining way to experience your city. 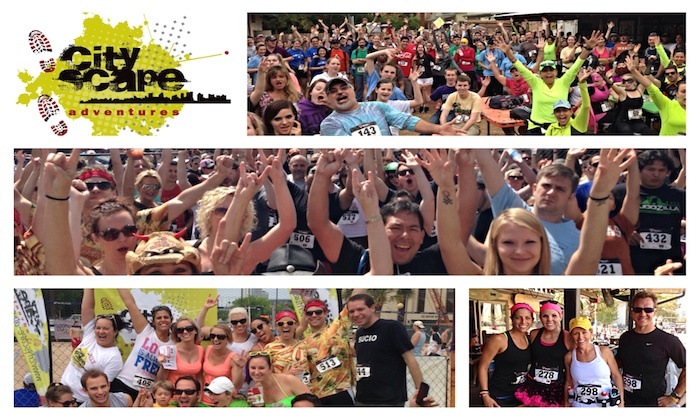 The CityScape Scavenger Fun Run is a one of a kind combination of Amazing Race styling, Pop Culture Trivia and Urban Adventure Racing. The streets will be your obstacle course as you solve clues and complete challenges to plot your way through the unique fabric that makes your city great! Click on your city for details.